Click here to listen to the recent podcast interview with Wendy on Healing Powers Podcast! Cadmium toxicity occurs when high levels of the element are accumulated in the body, whether it’s through the ingestion of food or drink, inhalation or direct exposure. Cadmium is involved in all of the major diseases of our time, including cancer, diabetes, arthritic syndromes, heart disease, kidney disease, depression, adrenal burnout, and others. The Environmental Protection Agency has classified Cadmium as a known carcinogen due to the dangerous effects it can have on human health (5). You can also learn more about how cadmium and how other heavy metals impact health on the heavy metals summit or on a Healing Powers Podcast. Cadmium is an incredibly toxic metal and is ever-present in our environment primarily due to industrial dumping. Cadmium is a metal that also occurs naturally in the environment. It accumulates in the body through food and water, but also through the air we breathe and the environment in which we live. Mineral deficiency plays a role in contributing to cadmium toxicity. When one is nutritionally deficient in calcium, iron, protein, and/or zinc, cadmium is absorbed by the body to fill these “nutritional gaps.” (6) Cadmium replaces the deficient nutrients to keep the body running. Over time, as more and more cadmium is accumulated, toxicity symptoms will begin to present. Toxic elements, like cadmium, replace nutrient minerals in enzyme binding sites. When this occurs, the metals inhibit, over-stimulate, or otherwise alter thousands of enzymes. An affected enzyme may operate at 5% of normal activity. This may contribute to many health conditions. Toxic metals may also simply deposit in many sites, causing local irritation and other toxic effects (7). Toxic metals may also replace other substances in other tissue structures. The replacement weakens these tissues, such as the arteries, joints, bones, and muscles. Cadmium replaces zinc in vital enzyme binding sites. When there is a deficiency of zinc, the body is forced to use cadmium for repair. This can include the arteries, skin and other areas of the body where zinc is used for repair. 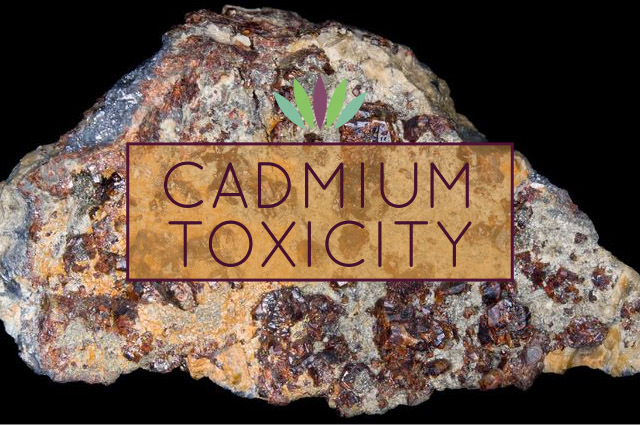 As you can see, the symptoms of cadmium toxicity are in direct correlation to a lack of the healthy minerals they replace (iron, calcium, and zinc). This is why mineral balancing is so important! Cadmium poisoning has a vast variety of symptoms. It can affect a multitude of systems in the human body. Toxicity of this element is known to show its presence in the Nervous, Cardiovascular, Digestive, Endocrine, Respiratory, Excretory, and both the male and female Reproductive Systems. (1) It even affects our energy levels and the chemical makeup of our brain. Cadmium is a powerful stimulant to the adrenal glands. It irritates and boosts adrenal activity, although it does this in the unhealthy way that stimulants do, not a healthful manner. In fact, many need their cigarettes and coffee, and even marijuana, to give them their daily boost to their adrenal glands. Cadmium is one of many stimulants in these substances. · Cancer: Cadmium is a very toxic metal and usually associated with the development of cancers. · Nervous System: Cadmium inhibits release of acetylcholine and activates cholinesterase. This results in a tendency for hyperactivity of the nervous system. Cadmium also directly damages nerve cells. · Energy: Cadmium causes strong inhibition of essential enzymes in the Krebs energy cycle. · Bones and Joints: Cadmium alters calcium and phosphorus metabolism, thus contributing to arthritis, osteoporosis and neuromuscular diseases. The findings of one study, conducted by the Division of Laboratory Medicine, Department of Toxicology, at the Medical University of Silesia, showed that cadmium has both a direct and indirect toxic effect on bones (3). · Cardiovascular System: Cadmium replaces zinc in the arteries, contributing to brittle, inflexible arteries. · Digestive System: Cadmium interferes with production of digestive enzymes that require zinc. · Reproductive System: In men, low sperm counts, prostate problems and impotence can result from cadmium-induced zinc deficiency. In women, cadmium can cause reduced fertility. · Endocrine System: Zinc is required for growth and insulin release. Cadmium can contribute to failure to thrive, delayed growth development, and diabetes. · Excretory System: Cadmium accumulates in the kidneys, resulting in high blood pressure and kidney disease. · Dental: Alterations in calcium and vitamin D activity, caused by cadmium toxicity, can result in cavities and tooth deformities. · Psychological: Cadmium toxicity is associated with learning disorders and hyperactivity. This may be due to zinc deficiency, or to inhibition of acetylcholine release in the brain. You can identify the presence of this toxic mineral in your body with a hair mineral analysis and detox it with a Myers Detox Protocol program. I detoxed quite a bit of cadmium on this program and am very happy it’s out of my body! 1. Analytical Research Labs, Inc. “Mineral Information”. http://arltma.com/Mineral_Information/Cadmium.html. 2. Borné Y, Fagerberg B, Persson M, Sallsten G, Forsgard N, Hedblad B, Barregard L, Engström G. “Cadmium exposure and incidence of diabetes mellitus – results from the Malmo Diet and Caner Study”. Department of Clinical Sciences in Malmö, Lund University, Skåne University Hospital, Malmö, Sweden. PLoS One. 2014 Nov 13;9(11):e112277. doi: 10.1371/journal.pone.0112277. eCollection 2014. http://www.ncbi.nlm.nih.gov/pubmed/25393737. 3. Brodziak-Dopierała B , Kwapuliński J, Sobczyk K, Wiechuła D. “Analysis of the Content of Cadmium and Zinc in Parts of the Human hip Joint”. School of Pharmacy, Division of Laboratory Medicine, Department of Toxicology, Medical University of Silesia, 4 Jagiellonska, Str, 41-200, Sosnowiec, Poland. Biol Trace Elem Res. November 15, 2014 Nov 15. 4. Díaz MD, González N, Gómez S, Quiroga M, Najle R, Barbeito C. “Effect of a Single Dose of Cadmium on Pregnant Wistar Rats and Their Offspring”. Reprod Domest Anim. 2014 Oct 17. http://www.ncbi.nlm.nih.gov/pubmed/25322905. 6. McCoy, Kirsha MS “Cadmium Toxicity (Cadmium Poisoning)”. NYU Langone Medical Center. Reviewed February 2014. http://medicine.med.nyu.edu/conditions-we-treat/conditions/cadmium-toxicity. 8. Wilson, Lawrence, Dr. “Toxic Metals and Detoxification”. The Center for Development, Inc. July 2014, http://www.drlwilson.com/articles/TOXIC%20METALS.htm. 9. Zhang X, Chen H, Jiang H, Lu W, Pan J, Qian Q, and Xue D. (College of Life and Environmental Sciences, Hangzhou Normal University, Hangzhou, 310036, China). “Measuring the Damage of Heavy Metal Cadmium in Rice Seedlings by SRAP Analysis Combined with Physiological and Biochemical Parameters.” J Sci Food Agric. 2014 Oct 9. http://www.ncbi.nlm.nih.gov/pubmed/25359308. Expect good things and miracles to happen. If you need help with faith and hope, I am there. I know sometimes the heaviness of life wears on you and I am here to help. Often we are clearing out old unhealthy patterns and feel really miserable. If we can keep moving forward, the miracle will occur. Do not give up right before the miracle happens! If you need faith and need a miracle in your life, call on me. Watch out for roses or rose-petals as I send them to people to let them know I am helping them. Think of the beauty and wondrousness of the rose. The rose is beautiful, smells wonderful, and continues the cycle of creation. I chose the rose as my symbol because life can be beautiful and effective. Allow me to help beautify your life. You are beautiful and blessed, dear one; do not allow anyone to ever let you believe otherwise. Stories about the angel: It was not until I was writing this book that I learned that Archangel Barachiel is associated with lightning. I started writing and a storm quickly came through with a lot of thunder and lightning. I think it was just Barachiel saying hello. This makes sense as storms often serve to clear and flush out old energy and bring in fresh energy. I believe in this case it was Barachiel saying hello! Invocation: Archangel Barachiel, please help me experience and believe in the blessings and miracles that are headed my way! Other comments: Barachiel oversees all the guardian angels so you can work with him to connect more with your own personal guardian angel. Some say that he is an archangel and some say that he is a Seraphim. The message I am getting over, and over again, is the importance of persevering in your dreams or goals. When we see people, who have reached massive success, it is tempting to think that it just came easily to them when in fact, just the opposite is often the case. Walt Disney declared bankruptcy before achieving massive success and world-wide recognition. He’s not he only uber successful man to declare bankruptcy before achieving success and financial freedom. Milton Hershey (of Hershey chocolates, H. J Heinz (ketchup anyone?) and Henry Ford, all declared bankruptcy and struggled for a long time before achieving success. The New Moon is a time to plant new ideas or recalibrate the direction you are headed. With this New Moon we are looking at how to maintain balance and justice, while honoring our own desires of love, success, and wealth. The New Moon is occurring in Libra at 26° on October 19th. There are many layers to this particular New Moon. First, the New Moon is happening on October 19th. We are in a 1 Universal Year. October is an 11 Universal month. The 19th reduces into a 1 Universal day. As you can see the number 1 is being triggered many times on this day. The number one asks us to step up and be the leader we are meant to be. It is about innovation, intuition, inspiration, and using our own unique ideas to be who you are meant to be in life. Every person is an expert at something. This is the time to bring it out of you and share it. The New Moon is directing you to plant this idea firmly into the final quarter of the year. Put your ideas and inspirations into a plan that will help you manifest love, wealth, and success. This is your birthright! The Universal energies are reminding you that you are here to experience joy, balance, and peace through expressing the bright side of courage. With the Sun being in Libra and the New Moon happening in Libra, we see an intensification of the energy needing balance and bringing forth love, justice, peace, wealth, and harmony. Libra loves beauty and is always looking for the win/win situation. Venus rules Libra. Venus is also will also be in her home sign of Libra at 6° during the New Moon. This is a complete link to love, abundance, beauty, wealth, and success. The number 6 represents the nurturing energy that a dream needs to become real. It is the mother energy of love, service, health, and harmony. There is compassion and love oozing into the atmosphere. The density of prosperity is easily tapped into at this time. Be courageous. Building wealth, and success through courage is another message being sent out at this time. This is reflected in the number 19, (October 19th). The number 19 is referred to as “The Prince of Heaven”. The Prince of Heaven is symbolized by the Sun. The Sun represents you, your unique gifts, and how you present in the world. You are the "Prince of Heaven" by experiencing victory after disappointments or past failures. The vibration of this number holds energy of rising to the top. It is a masculine energy. It is sometimes associated with Archangel Michael. He is the protector, the warrior, and the clear communicator. This energy is being presented to you for you to embody and use confidently in moving into your leadership position. You will be protected and guided by the Divine. Listen to your gut and be brave. The energy is supporting you in all ways at this very moment! Love, wealth and success are clearly part of this energy. This is reflected in the position of the Moon at 26°. The Sun is sitting directly in alignment with the New Moon at the same degree, 26. The number 26 reduces to the number 8. This is the number of great manifestation of wealth and success through action. The 2 and the 6 are reflecting balance and service, compassion, and love. Build your dreams while balancing your energy. Be of service to others by sharing your expertise. Send your light out to others with love and compassion. It is part of the prosperity you are here to experience. Let’s pull it all together. The message is clear, make a plan and take action on those ideas. Use your intuition and step up and be the leader you are here to be. Allow your shining moment to manifest bring in abundance. You are supported and protected when you infuse your message with a win/win attitude. Your shining moment is here. Express your compassion and lead with love. Allow the wealth, harmony, love, and success to be a part of your life. This New Moon allows you to use the energy to direct the final quarter of 2017 in the way you desire. Step forward and let your light shine bright! This is an excerpt from Laura Powers’ forthcoming book on Archangels and Ascended Masters! So many of you are going through challenging experiences now. It is often difficult to release that which is no longer serving us. Know that what challenges us, does make us stronger. Do not fear this change. Imagine yourself like metal that is forged through the fire. All that is not essential is burned away to reveal the strength and beauty within. You are all so much stronger than you think you are. Know that you are never sent anything you cannot handle. Lean on us for strength when you need it. Invocation: Archangel Chamuel, please help me find what I have lost, and find what I need in myself to heal and feel inner peace. Please assist me in healing my relationships and having the strength to follow my true path. Other comments: When I see Chamuel, he is often on fire. Not a dangerous fire, but a cathartic fire which helps to clear away the superfluous and strengthen us. Call on him if you feel you are going through trials and need strength. Stories about the angel: He really is good at finding wedding rings. A few years ago, a good friend asked me if her wedding ring was truly gone. It had been missing for a year. I got psychically to ask Chamuel to help find it. A few weeks, later she got a phone call from someone who had found it. When a planet goes on retrograde, it means the influences from that planet are reduced. When a planet goes retrograde, it appears to move backwards in the sky, from the earth’s perspective. Some planets go retrograde more often and for shorter periods of time whereas some planets go into retrograde infrequently. Knowing what each planet represents and when it is retrograde can help prevent frustration and have more peace of mind in dealing with the issues that are brought to the surface during that retrograde. This past month there have been several planets in retrograde. On the one hand, it may have felt especially challenging and triggering, on the other hand, this means that it was a great time to see what was working and what wasn’t and make modifications. Mercury rules communication, transportation, and technology and deals with anything related to expression. When mercury is in retrograde, it seems to us that there are problems or delays with technology, communication, travel and in general, trying to move forward on plans. It is not a great time to make big commitments, launch new programs or projects, and sign contracts as things may not be as they seem to be during the retrograde period. 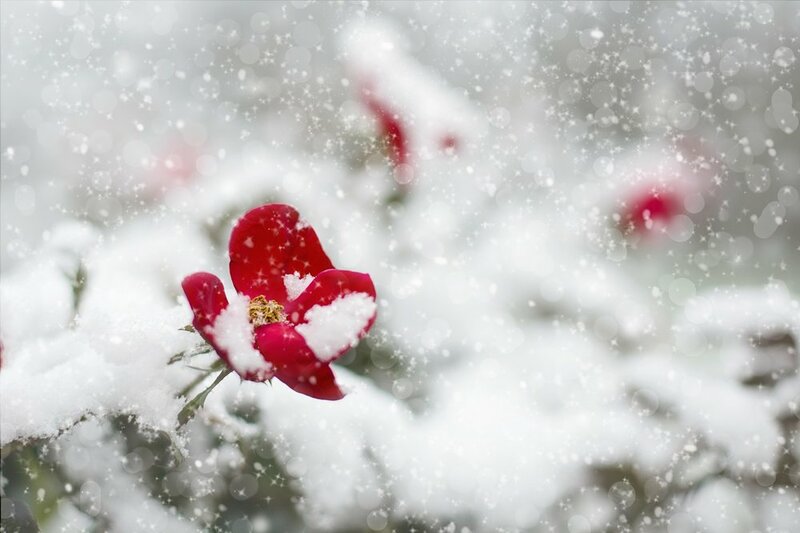 It may also not be the best time to travel or if you do, give yourself extra time to get to and from places and do not be surprised if there are travel delays or necessary changes made to travel plans. Even going to and from appointments may seem like more of an ordeal during mercury in retrograde periods with traffic jams, construction delays, or other problems. It is a great time to slow down, not to overcommit yourself and wrap up or tidy loose ends with old projects. I personally like to go through my closet and belongings and clear out anything that isn’t bringing me joy or I am not using anymore. Most of the frustration during mercury in retrograde periods happens when we fight the tide so to speak, trying to go out when the tide is coming in, etc. So now that you are reading this, we are out of the shadow period for Mercury and the next one isn’t until December 22 of this year. I recommend putting it on your calendar now so you can plan to slow down, not overcommit and wrap up old things during the next retrograde cycle. It's here! The big solar eclipse everyone has been talking about is happening! Let's take a look at how the energy of the eclipse will affect you. The eclipse happens on Monday August 21st for those in the USA. August is a 18/9 Universal month. The number 9 is showing us that the past 9 years cycle of our life needs to be let go. A shift needs to take place so when we start the next 9 year cycle, we are starting with a clean slate. It's a time for reflection and release. Take some time to reflect on what needs to change in all areas of your life. The past is the past, it's time to let it go and create a future full of passion and abundance! August 21 is important as the number 21 is known as "The Crown of the Magi", which is the Universe and all the gifts it has to offer. It is showing us that after the long 9 year struggle we have gone through, abundance and the Universal gifts are here for us to claim! We all have the right to abundance and these numbers reflect that through joy, happiness, and true self-expression we will receive the gifts we have been seeking. This solar eclipse is happening in the sign of Leo. Leo rules the sun! Leo also rules the heart! This is showing us that what is in our hearts is the focus now. We are to look inside our hearts and find what has been needing release and transformation. Now is a time to make a change. Leo is a fire sign and loves to be in the spotlight. It is a powerful sign that asks us to light the fire inside ourselves and initiate desire! Let what is in your heart come alive and be expressed! There is a new moon happening at the same time of the eclipse. This is asking us to set our intentions to move forward and create all we desire. New beginnings are going to create lasting change. Look inward and find your inner light. What makes you happy? What brings you joy? Use this time to get really clear so when September comes you are ready to take action and make these changes. Remember, Mercury is in Retrograde, (direct on September 5) so wait to make these changes until after it is over to lessen any communication issues that could pop up. This is a time to release, set new intentions, get fired up, and follow what our hearts truly want! This energy will have lasting effects. Eclipse energy is extremely potent and the effects are felt for a year to two years after one has happened. Make this time work in your favor and be a conscious creator in love and prosperity! I decided to experiment with baking because I couldn’t find any commercially made bread that was grain, sugar, and dairy free. Thankfully it is possible to make bread that is all of things and in my opinion still tasty. 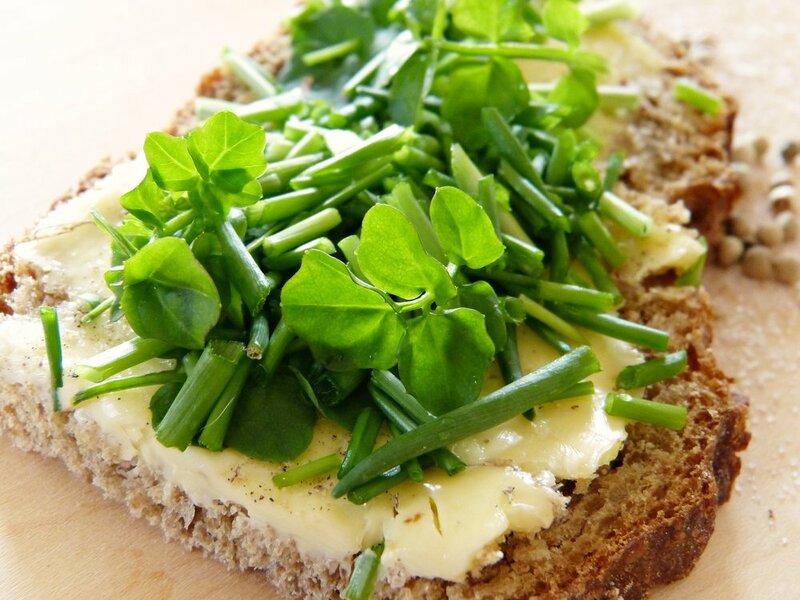 No, it doesn’t taste like wheat-bread but it is still tasty and best of all – doesn’t make me sick! It’s also very high in fiber, which is something most people don’t get enough of and is high in healthy fats. You can modify the recipe by using sunflower seeds to make it nut-free. If you prefer to substitute butter or eggs you can do that as well. For a firmer bread, use cocoa butter as the shortening. For a texture that is less solid, sub the cocoa butter for coconut oil. Once baked, I personally like to put almond butter on it though it also tastes great with a coconut spread or vegan cheese. If you have a sweet tooth – I am sure that honey or jam would be great on it too. Happy Baking and Bon Appetit! Preheat oven 350°F. Blend all the dry ingredients in a bowl. Heat shortening to melting point. Bring water to boil or near boiling and combine with dry ingredients, stirring to combine evenly. Once completely combined, add the melted shortening and blend thoroughly. Pour dough into a greased 8 x 6 or 8 x 4 inch loaf pan and make sure it is spread evenly throughout. Bake at 350°F for about 40-50 minutes, until top is browned and center is solid. Best if consumed within a few days or frozen for later consumption. This coming full solar eclipse is getting a lot of buzz! It’s the biggest solar eclipse that North America has seen since 1918! Eclipses bring change, and often times unexpected turnarounds. Astrologically, the eclipses come to help us clear out things that are holding us back. There is a partial lunar eclipse is coming on August 7/8 around noon Mountain time that will be viewable from Europe and Asia. Then on August 21 is the big event at 12:30 pm Mountain Time. The eclipse will be most visible around Portland, Oregon which has inspired a lot of people to go there to see the eclipse. But don’t worry, you don’t have to see the eclipse for it to impact you and you will likely be able to at least one of the eclipses from your location if you want to make memories of this historic event. During a lunar eclipse, the earth is between the moon and the sun which means the moon is not getting the light from the sun. Think of a lunar eclipse as like an uber full moon! Lunar eclipses are always on full moons and they usually indicate endings of some kind in our life. During a solar eclipse on the other hand, the moon blocks the sun from the earth’s perspective. Astrologically speaking, it’s like an uber new moon because solar eclipses always happen on new moons. Eclipses often show up as the wild cards to shake up areas in our lives that need shaking up! They often bring about unexpected events and sometimes make us do a 180-degree turn. Though this can be challenging, it is always for our highest good and in order bring us something better and shift us into new levels of consciousness. By knowing which house the eclipse falls in your chart you can get a better sense of how you will be impacted. Whether or not you look into this in advance, just be aware that the eclipses will bring change, likely quite rapidly. Rather than fight it, think of riding the wave of change and it will go a lot more smoothly. Just like the tide, the change cannot be stopped, only dealt with. So, hold onto your hats and enjoy the ride! It has come to my attention recently just how important sleep is for our health, mental state, and success. We also are living in a society that often views sleep deprivation as a sign that you are hard-working and determined. I have been getting a lot of messages from my angels and spirit guides lately that going without sleep is not something we should push ourselves to do. I do understand that there are times when this must happen short-term, however sleep deprivation can have serious health consequences. I hope that reading this you will allow yourself to get the rest that you need without feeling guilty or judged. Sleep-deprivation has been linked to suicide, depression and making poor decisions. Because sleep is connected with healing cells and the circulatory system, chronic sleep deficiency can increase the risk of heart disease, high blood pressure, diabetes, and stroke. Since your blood sugar is not being regulated, those who don’t get enough sleep are usually heavier than their counterparts who are getting enough sleep. When you don’t get enough sleep, it’s also bad for beauty: skin conditions get worse due to increased inflammation. It also leads to visible problems like darkness or bags under the eyes, dull skin and red eyes. When you don’t get enough sleep, you brain also tries to accommodate by going into micro-sleep. Micro-sleep is what happens when your brain essentially goes to sleep or goes into autopilot when you are awake, such as when you drive somewhere and don’t remember doing it. So, driving while sleep-deprived is similar to driving drunk in terms of impairment. Not sleeping for as little as 17 hours can be the same as being drunk. Another negative aspect of not getting enough sleep is that your brain actually clears away neurons when you don’t get enough sleep which leads to cognition and memory problems and, over time, leads to a much greater risk of dementia and Alzheimer’s. You can watch a great TED talk about that here. Additionally, lack of sleep creates inflammation which speeds up the ageing process and makes us sick and look tired. If you feel guilty for letting yourself go to sleep, there are some tools that can help you clear that. I am a fan of tapping to help release unhealthy beliefs or patterns. You can read my blog post on how to tap and watch a brief instructional video here. Good sleep habits can really help too. Turn off bright lights a few hours before sleep and minimize interaction with electronic devices. Create a nighttime, relaxing ritual. This can include reading a book, taking a bath, meditation, journaling, drinking a relaxing herbal tea, or relaxing yoga. Create a time for you to wind-down and get your body and mind time to prep for sleep. Do not do intense exercise or do stressful activities or use electronics (no checking email) 2-3 hours before sleep. This can really help with making sure that you mind is not wired but tired. To get good quality sleep, it’s also extremely helpful to have a comfortable sleep environment. Make sure there are no flashing lights on in your room or anything else stimulating. If you struggle with traffic or other outside noises a white noise machine or playing nature sounds can help you fall asleep. I also recommend turning on “airplane mode” or “do not disturb” on your phone as notifications and even the signal itself can stimulate you and make it difficult to go into deep sleep. Hopefully this article helps you work understand why sleep is important and you found some tips to help you sleep. Sleeping is one of the best things we can do for our health and peace of mind. Recently I was traveling in Austin for SXSW and I started feeling sick. I wasn’t just feeling a little sick but a lot sick and was a bit puzzled because I eat well and it didn’t feel like food poisoning or the stomach flu. But I felt pretty badly and so I tuned in psychically and got that it was from chemicals including chlorine and fluoride in the tap water. I generally do drink spring water but when I travel, I would sometimes drink tap water at restaurants. Since I was at a festival and out and about a lot, I was drinking more tap water than usual (but probably still no more than 3 glasses a day). So, I was a little surprised that I was feeling so sick, after all, I was only drinking a little bit of tap water. I started to do some research on chlorine and fluoride and learned that its highly toxic, and that the kind of fluoride in water is much more toxic than the kind in toothpaste (though I still avoid it in toothpaste as well). I read several articles and blog posts and a few books on water fluoridation including The Case Against Flouride: How Hazardous Waste Ended Up In Our Drinking Water and the Bad Science and Powerful Politics that Keep It There. I was amazed at what I read but here are a few points to consider regarding water fluoridation. The fluoride that is in tap water is a completely different kind of fluoride than the type toothpaste that is actually a chemical byproduct. Pharmaceutical grade fluoride is what is in toothpaste, the kind in water which is byproduct from the phosphate industries. Many countries including China (a country not-known to be toxic and pollution free) do not allow fluoride in water because they consider it too toxic. The amount of fluoride in a glass of water is enough to cause an 8 point IQ drop (enough of a different to move you from the normal to dull range). A 5-point reduction on average of IQ doubles the number of people considered mentally retarded so this is a significant statistic. There is a financial aspect to IQ loss as it relates to a person’s ability to make better money. Flouride collects in the pineal gland (believed to be the 3rd eye is housed in the brain) and can increase hypothyroidism and create goiters. There is also evidence of increased cell death, arthritis, dementia, bone fractures, and cancer. After learning all this stuff, it’s really no surprise that fluoride was making me sick. Once I switched to drinking spring water or water that was purified to remove fluoride (most purified water does not), I felt much better. I wanted to share about this experience because it’s very important for all of us to honor what feels good in our bodies. Even though many will tell you that fluoride is good and safe, it was not feeling good in my body. Pay attention to what feels right for you and do your research. The more you pay attention to and honor what feels right for you, the better you will likely feel. On the plus side, as a part of this experience, I really learned the benefits of using activated charcoal to help absorb toxins and start to feel better. I will be writing about that soon so stay tuned. The Chakras are energy centers in the body. When these energy centers are flowing, we are healthy and vibrant and feel peaceful. When they are blocked, clogged, or malfunctioning, they negatively impact our health and mindset. This is why working on the chakras is so powerful. Heal or help the chakras and you can help both your physical, mental, and emotional health. Taking even a little bit of time to focus on chakra clearing work can have profound effects on multiple areas of your life. Yoga works to heal and help the chakras as well. I will never forget when I was going through a big purging phase and went to yoga. After just a short time of yoga, I felt extremely nauseated and almost threw up. I now understand this is because my chakras were being cleared out through the yoga stretches. Since I was already doing a lot of purging and had recently left a toxic relationship, my chakras were very clogged and there was a lot of clearing to do. It is not uncommon to go through big physical shifts when our chakras are clearing. I have been known to feel nauseous when my solar plexus chakra is clearing and feel intense heart pain when the heart chakra is clearing. If this is happening to you, do not over-exert yourself. Do relaxing things, drink lots of water, and allow yourself to have extra rest if you feel you need it. The chakras are arranged at the center of the body with the first chakra sitting at the base of the spine going all the way to the crown chakra at the top of the head. In my book Angels and Manifesting, I created a chakra chart to go over the different chakras, what they represent, their colors, and associated emotions and blocks. You can read that here. Per client request, I also created this chakra meditation. You can get comfortable and listen to this meditation to help identify issues and blocks and then work to heal them. This is a very powerful way to effect change and healing in the body and in your life. Even a little bit of time spent doing this work can have profound effects and doing the meditation regularly can help you speed up your shifting and healing. As they say in yoga, Namaste. Tapping is a great tool that allows us to clear or release emotional blockages in the body for relief. It operates behind a similar principle as acupressure or acupuncture. Essentially there are energy meridians in the body and we can release or reduce emotional triggers or patterns by tapping key points on the body. It sounds quite simple but I have found it to be quite profound in its impact and one of the amazing aspects of it is that it happens fast! I’ve gone through detailed instruction in this article however if you’d like to see a video with demo tapping, you can watch that here or on itunes. The first step is to identify the issue. This could be an unhealthy belief pattern or habit or even a physical pain. Because many physical pains have an emotional block at their root, it can work for physical problems too. The issue could be feeling blocked financially or frustration from lack of opportunities. It could be not feeling supported emotionally or anger at a particular person. It might also be related to dissatisfaction related to some aspect of your physical health or an addiction. Often when we release the blockage, it gives us more ease in dealing with the practical aspects of the issue as well as releases the negative emotion which increases our vibration and allows us to manifest bigger and better things and experiences. I’ve included some sample tapping phrases to get you started and of course feel free to create your own. · I want to be in better shape. · I do not have the financial freedom I desire. · I am overwhelmed with stress. · I am having a hard time of letting go of my addiction. Again, choose one issue at a time and run through all the points tapping on the same phrase. Whichever phrase is the most triggering for you is a good one to start on. The next step is to rate yourself on a scale of 1 to 10 on that particular issue. In others words, how bad is it with 10 being the worst and 1 being the best? You can do this just by checking in with yourself and see what number pops up in your mind. This might seem like an extraneous step but water helps to flush out your system of toxins and unhealthy or blocked emotions are toxic to our bodies and must be cleared through our bodies’ detoxifying system as well. Water supports that through its natural cleansing properties. The tapping points include points on the hand (karate chop points) as well as several points on the face and head, and several on the torso. I have included an image below for you to help identify the tapping points. I recommend tapping with either the first two or the send two fingers ensuring you are covering the tapping points each time you tap. If this feels uncomfortable, tap with just your pointer finger. Use the diagrams to reference the points below. You can tap on just one side or both sides of the face or body. I recommend choosing one phrase at a time to focus on. Once you have determined your rating, let’s say it’s a 3, then start tapping in the phrase using the following format. I typically tap the karate chop point followed by the eyebrow, corner of eye, under eye, under nose, chin, collarbone, underarm, and sore spot with the top of head point last. Say the phrase through at least one time per point. After one or two rounds of tapping, stop and pause to rate yourself. Has it gone down? If it has but has not gone down very far, keep going. Stop either when you rate zero or when you feel the need to stop. Sometimes we need some time to integrate the energy shifts and may feel overwhelmed if we try to clear too much at a time. That said, it is possible to clear blocks very quickly and relatively easily using this technique! This work is very effective however it can be like the layers of the onion. Once you work on one phrase, there may be a related phrase or topic which pops up to clear. Keep working on them but be assured that you can make big progress with just a little bit of time and focus on this work. You can also watch the instructional video that Laura made about tapping on iTunes or YouTube. The new year is a wonderful time to set intentions and get clear on what you want to create and bring in for the next year. I've included this worksheet to help you manifest your desired intentions for 2017 and beyond. You can copy and paste this into your own document or download a pdf version here. There are three steps to manifesting: Asking, Believing, and Receiving. This worksheet can help you with the asking part. For lots more tips, you can read my book on Angels and Manifesting. These are suggested categories, you can use these or create your own. I recommend making a ritual of it and lighting a white candle, having some tea, and playing nature sounds or calming music while you create your list to put you in the best frame of mind. You can also ask your angels to give you suggestions and help with ideas. If this is tough to start with, you can get more tips on manifesting and figuring out what you want in the book Angels and Manifesting. You can find the book on Laura’s website or on Amazon. Ask for whatever you’d like or greater and include both quantifiable (measurable) and qualifiable goals. Make sure they are smart (specific, measurable, action-oriented, rewarding, timely and tangible). Make sure they excite you too! Once you’ve written your list, it is important to ask the angels to bless and assist your requests. This really is the magic step! I recommend asking Archangel Michael, Raphael, Jophiel, and Zadkiel (plus any other angel you’d like to call on) as well as your guardian angel. There is no right or wrong way to do this simply, silently or verbally invite your angels to assist with your manifestations. To give your manifestations more power, you can light a white candle and focus on the list and visualize them manifesting every day for a week! It is easy to get caught up in the stress and strain of day to day life. Remember to stop and smell the roses. Even when life feels hard or difficult, there is so much beauty all around. Appreciate yourself, your body, and your friends. The more you are in gratitude, the more wonderful things and energies are attracted to you. It is natural sometimes to feel sorrow or sadness. When this happens, allow yourself to feel this way. Do not label these feelings as bad or negative. Allow yourself to feel them and heal as they pass through you. Remember too that this moment shall pass. Whatever you are going through, it can change dramatically. Do not get trapped into feeling like just because you are struggling in the moment that you will continue to be in struggle. Allow me and the other angels to help lift you up. So many of you struggle on your own as if the burdens of the world are yours alone. Feeling the stress and the strain of the world does not make the world feel better. Allow yourself to feel light amidst the chaos and darkness, that is helpful. Also, remember that when you are overwhelmed by events beyond your control, you can ask the angels to intervene. The more of you that ask us for help, the more the world can transform! We are going through a big time of energy shifts and transitions right now. So I wrote this article to share tips on how to shift more easily and assist in the process. One of the biggest blocks I see to positive change with clients is resistance to change. When our energy shifts, moving forward (change) is inevitable and is a direct result of the shifting however some people dig in their heels. A good visual example of this is a donkey digging its heels in. If you are resisting, it can help to ask yourself if you are resisting. If the answer is fear of change, or fear of success (they are often tied to together) it is likely you are in resistance. Ask the angels to help you release any fear of change and allow you to move forward. Even if there are things happening that you don’t like. There may be a beneficial reason that you are not aware of for the change. Often times the things that we resist benefit us the most. Getting at the root of why we are in resistance can often be extremely enlightening and helpful. For example, I had a lot of resistance when I started out in my psychic work. When I examined my resistance, it was rooted in fear of being judged or persecuted. Avoiding anything that led to this fear would also have held me back on my path, my purpose, and success. This fear was also based on a false premise (as many fears are) that with visibility would come persecution and pain. Therefore, it was important for me to face and move through this resistance or it would have blocked the good things I wanted in life. Anytime we allow unhealthy fear to have a hold over us, it negatively impacts our success and the good things we can have in life. As they say in Star Trek, “Resistance is futile,” and I have truly found it to be so! Sometimes it can be difficult to differentiate the difference between something that you are resistance to that is good for us and something that is just generally bad. I find meditating or simply having some quiet time to ponder it can help. Thing about what it is that you are resisting and why. Once you can get at the root of the reason for the resistance, you can determine your own truth and figure out how to move forward in the healthiest way. Give yourself time and space to rest and transform as it takes a lot of energy. When I was thinking about this recently as I have been going through big energy shifts, the angels reminded me about how it works with butterflies. When a caterpillar goes into the chrysalis and is transforming into a butterfly, it is not doing anything else besides this transformation. This transformation takes a ton of energy, and the caterpillar is doing nothing but transforming. So often when I am going through big energy shifts, I have pushed myself because I feel I need to be productive or “do stuff”. If you think about caterpillar activities versus butterfly activities, so little of what a caterpillar does has any relevance to butterfly. Sometimes that very stuff we feel compelled to do will have little benefit to us once we have shifted energetically. Allow plenty of shifting, you may need way more than you think you need. Think about butterflies when they are going through their biggest transformation, they go into a chrysalis and don’t do anything except focus on transforming themselves. When they are done the transformation is incredible and breathtaking. Remember many of you are going through this type of transition yourselves and transforming takes a lot of energy and of course time. We are taught from when we are very young to stay busy and to focus on doing rather than being. One of the most important things we can do to help ourselves shift is to do less, and only say yes to things that we really want or love to do. Say yes to if it feels light and fun to do so. If you feel stressed, heavy, or tired when you think about doing something, it may be beneficial to say no. Remember, you do not need to do things all the time. In fact, when we have quiet time and are less busy, we can more easily hear messages from our angels and spirit guides. Allow yourself to release what no longer suits you or brings you joy. As our energy shifts, what we used to love and what we love now may be profoundly different. This can mean that you end of releasing a lot of situations, relationships, or belongings at once. While you head may say, “hold on, this is too much,” remember my first point, resistance is futile. If we can go with these changes and release what we feel like we need to release, it is often to make way for what is just perfect for us now. Do not try to make yourself like, or fit into, situations that no longer work well for you. When releasing belongings, a professional organizer helped me use these parameters to help determine what to keep and it was life-changing: only hold onto things if you love them or would by them now in their current condition. By purging what we no longer love and releasing what is not ideal for us now, we can make room for what is. PS Taking the time and energy to shift now will reap big rewards later. First of all, let’s go over eclipses and what they are. Eclipses are times of revealing and things set in motion during an eclipse have a deep impact for the next 6 months or more. They are powerful times for manifesting. Whatever happens and whatever we create during the eclipses has a large impact on the next several months and the future. Once I was writing about the upcoming eclipses for a newsletter and I knew exactly when they were coming. As a result of this, I very specifically set some clear intentions during the eclipse and a few hours later my plans for the week were deeply impacted by a cancellation with a friend while traveling. This then had a ripple effect as I met entirely new people and set a new course for myself. I feel strongly that this new course was set as a result of my intention setting during the eclipse. In an eclipse, the sun which represents of our conscious awareness gets blocked by the moon which represents what is hidden but true. In this case, the moon is literally eclipsing the sun and blocking out its light. During a lunar eclipse (which always happen on full moons), the sun, the earth, and the moon align in a straight line. The earth is then between the moon and the sun. The earth’s shadow blocks the light from the sun hitting the moon and plunges the moon into darkness. Essentially during a lunar eclipse, the moon appears goes from a full moon to a new moon and back in terms of light and then back to full again. So in sense, the manifesting energy from a whole month happens in that very brief window of time. Eclipses always bring about change and what may seem like chaos but there is an underlying order. In essence, a new moon eclipse is an uber new moon and a full moon eclipse is an uber full moon. We have eclipses coming up. First will be a solar eclipse in Virgo followed by a lunar eclipse in the sign of Pisces. The eclipses in March were to stir up things up and get us to think about things we might not have while the September eclipses will firm things up for us bring clarity and movement. After the lunar eclipse on September 16, it will be easier to feel like you can move forward again. The last several months have been about identifying issues that need to be resolved and cleared and after this set of eclipses, it will be easier to move forward and you will have the clarity and be empowered to act with more confidence. One of the themes from this coming sets of eclipses that is coming up is turning the focus from other back to ourselves. If we fight this lesson, it will be harder for us in the long term. One of the benefits of these eclipses is that they bring things up for us for review and clearing so that we can manifest on a brighter, clearer level once they are cleared for us. Though this can feel traumatic, it’s important to remember that if something is ending, there is good reason for it to do so and the same goes for the beginnings! There may be some things we let go of that are difficult but new things that come in that are even better. Let go of what is taken away and don’t fight it. Go with the flow and things will go much more easily for you. In particular, you might feel extra emotional during a full moon eclipse as you are purging and releasing old patterns, emotions, relationships, and situations which are not serving you on your path. You may feel you are on an emotional rollercoaster as you purge and release. When this happens, not that they will pass. Focus on your breath and ask your angels and guides to help you release all that is no longer serving you. Eclipses also create change fast and may create situations which mean change that you thought was going to happen in years has to happen in weeks or at the moment. These unexpected circumstances area for your good but they can leave us reeling to try to keep up! Again don’t fight it, these things are for your evolution and your good. We are often in resistance to what is for our good. If there is something coming up for release, there is a good reason for it! Thank the universe for the changes and the lessons and move on. You will have six months to shift and incorporate the changes before the next set of eclipses comes and asks you to shift and evolve yet again. Onwards and upwards as we and the world are all works in progress. Recently I have been getting so many messages about meditation that I finally just couldn’t ignore them and started meditating. I have tried meditating before and had a really hard time. I realized I was trying to do it on my own without a teacher. This often doesn’t go well when we are trying to learn something new. It was kind of like trying to teach yourself complex math with just a text book and no teacher (I should know; I have tried to do that before but that is another story). I have since discovered the benefits of guided meditation. In guided meditation you listen to someone who guides you through visualizations and relaxation techniques and for me this has made all the difference between failure and success. At some point I may be able to do meditation on my own without listening to an audio but for now, I am loving listening to them. There are so many benefits to meditation and if you want to improve your life dramatically in a whole host of ways then there is no reason you should not be practicing meditation. We live is such a stress oriented, active society but often we are working so hard to try to create a good quality of life but that are stressed in body in mind which is not a good quality of life. Meditation can help give us the perspective, peace, and focus we need to change our life in dramatic ways. I love this quote about meditation, “Meditate for an hour every day unless you are too busy. In that case meditate for two hours.” If you are so busy you can’t find an hour (or ten minutes) meditating can help you refocus and figure out how to work better and smarter. There is a reason they call it practicing! Meditation is not easy at first but most people expect that it should be. It’s like any new kind of exercise program, its hard at first! And I really do think of this as an exercise program; it’s exercise for the mind. You wouldn’t expect to run a marathon without training so don’t expect yourself to be able to meditation easily without some practice first too. It sounds simple to sit and focus or not focus depending on how you look at it for a few minutes to an hour at a time, but it will feel hard at first and that’s ok. It’s called a practice for a reason because you do need to work at it. And there are many benefits from doing even if it seems like you are terrible at it at first. You may feel like you are doing anything but relaxing or emptying your mind or whatever. Do it anyway and after a period of time, your mind will quiet and you will feel peace. If you want to explore meditating, there are some great easy resources to do so. You can download my grounding and clearing audio meditation which helps you learn how to ground yourself and clear your energy field. There are also some great free guided meditations on Spotify’s Guided Meditation playlist. You can check that out for free here. Deepak Chopra has some great free ones as does Philip Permutt on that playlist so there is literally no reason not to try it. So I know that meditating can seem daunting but there are so many benefits if you can work through any resistance you have to it. There are literally so many benefits to it, it is silly not to at least try it .